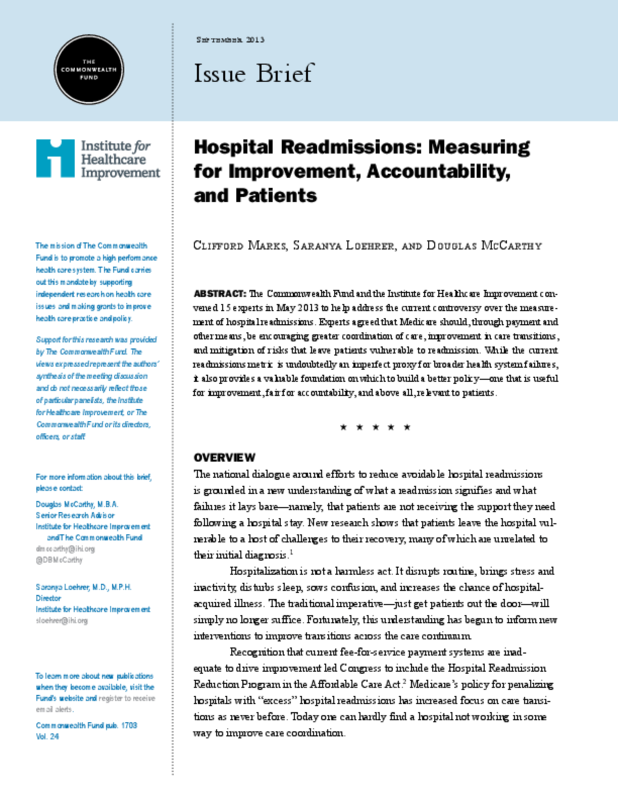 The Commonwealth Fund and the Institute for Healthcare Improvement convened 15 experts in May 2013 to help address the current controversy over the measurement of hospital readmissions. Experts agreed that Medicare should, through payment and other means, be encouraging greater coordination of care, improvement in care transitions, and mitigation of risks that leave patients vulnerable to readmission. While the current readmissions metric is undoubtedly an imperfect proxy for broader health system failures, it also provides a valuable foundation on which to build a better policy -- one that is useful for improvement, fair for accountability, and above all, relevant to patients.